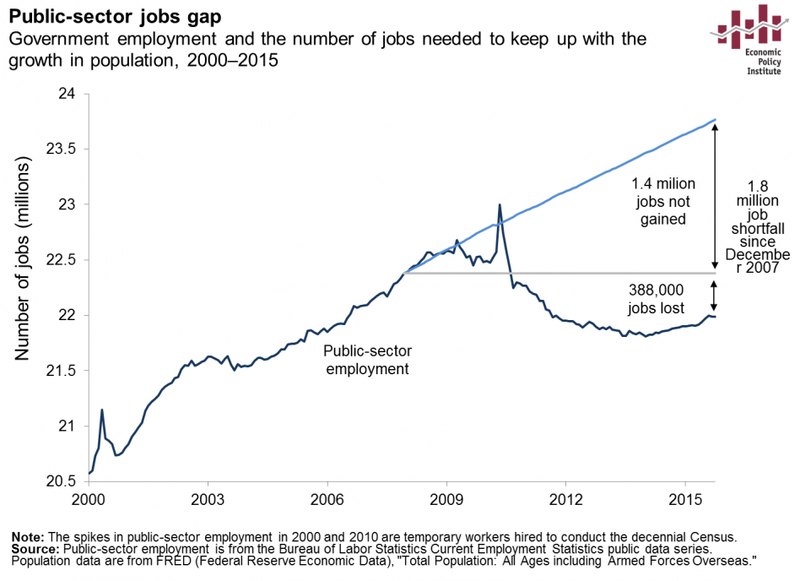 Can the U.S. guarantee every American a job? Is it possible to guarantee a job at a good wage to everybody who wants one? Senator Bernie Sanders is working on a proposal to do just that, and several other Democrats have endorsed the concept. Nobody in this country has ever tried anything like this. 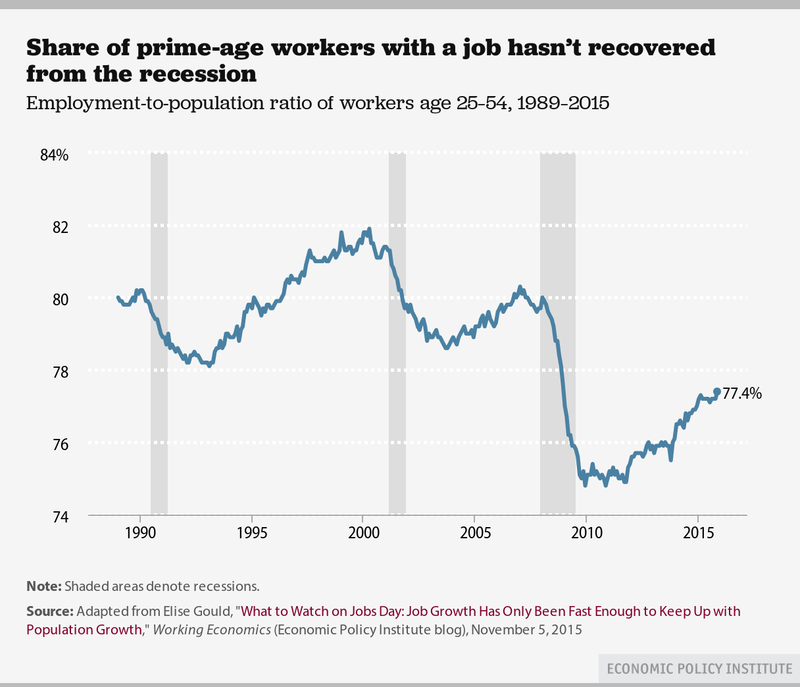 “Full employment” as usually understood means reducing unemployment to the lowest possible figure, now estimated at 1.5 percent. 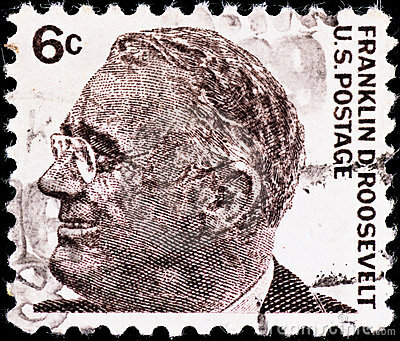 President Franklin Roosevelt’s New Deal created millions of useful jobs, but fell far short of providing a job to every individual who wanted one. He proposed a postwar economic bill of rights that included the right to a decent job, but it isn’t clear whether that was meant literally or as an aspiration. 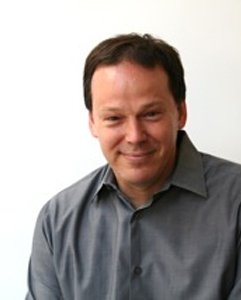 At the present time, the most widely-discussed proposal for a job guarantee is the National Investment Employment Corps (NIEC) proposed by Mark Paul, William Darity Jr. and Darrick Hamilton, working with the Center for American Progress and the Center on Budget and Public Policy Priorities. The NIEC would provide a job to any American 18 years old or older at a minimum annual wage of $24,600 for full-time workers ($11.83 an hour). They would have a chance to advance within the program to $32,500. Wages would rise with the rate of inflation or to keep pace with any increase in the national minimum wage. Full-time workers would be given the same health insurance and other benefits as other federal employees, whose cost is estimated at $10,000 a year. There also would be an option for part-time work. The Secretary of Labor would provide “employment grants” to state, county and local governments, as well as Indian nations, for NIEC workers to carry out community projects. The Secretary also would work with federal agencies to identify kinds of needed work that aren’t being done. Examples might be energy efficiency retrofitting, elder care, ecological restoration and preschool services. 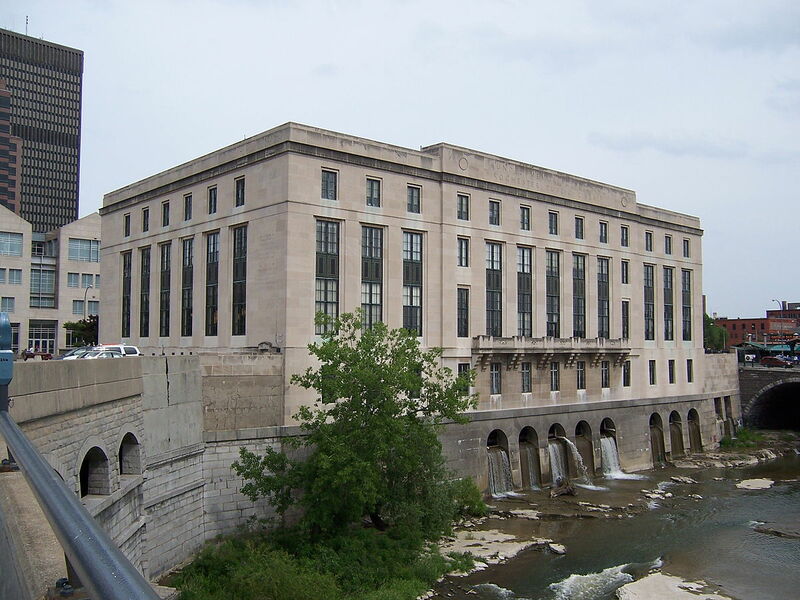 Where local governments could not think up enough useful projects to provide full employment, the NIEC would step in and do the work itself. On the other hand, it would not fund work that would displace already existing employees. Investigators would check to prevent corruption or boondoggling. That’s how it’s supposed to work. Paul, Darity and Hamilton estimate NIEC would employ 10.7 million workers which, factoring in part-timers, would equal 9.7 million full-time job equivalents. 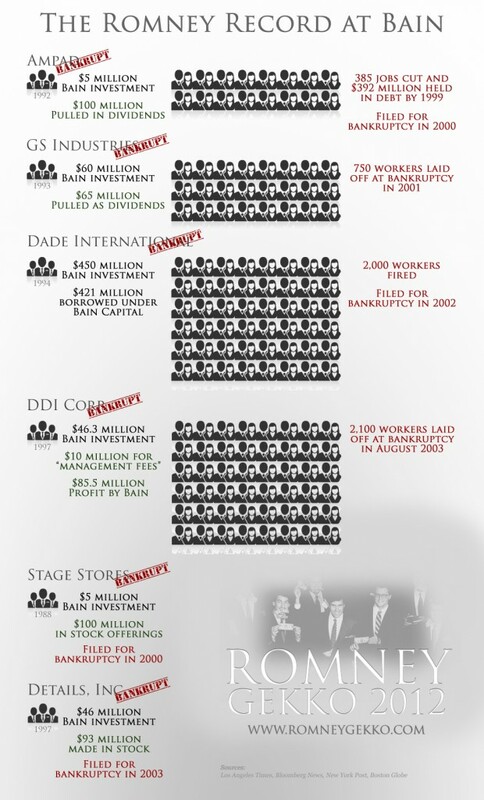 They estimate the annual cost of their program at $543 billion a year. That would be offset, they say, by reduction in spending for food stamps, unemployment compensation, earned income tax credits and other federal programs to help the poor and unemployed, and by an increase in taxable income. The Levy Economics Institute of Bard College has developed a less-detailed proposal, which is said to be the basis for Bernie Sanders’ proposal. The main difference is that the Levy proposal is based on a wage of $15 an hour. It sounds good. What would be the problems? I think thee are some serious ones. A widely accepted criticism of Franklin D. Roosevelt’s New Deal is that it never really ended the Great Depression. It took rearmament, the military draft and the Second World War to bring about full employment. Conrad Black. of all people, writing in The American Conservative, of all publications, pointed out that what these critics overlook is the millions of Americans put to work by the New Deal conservation and public works programs. Between 5 million and just under 8 million workers were employed on New Deal projects during the 1930s, but, according to Black, they were not included in the employment statistics cited by most historians, including partisan Democratic historians. 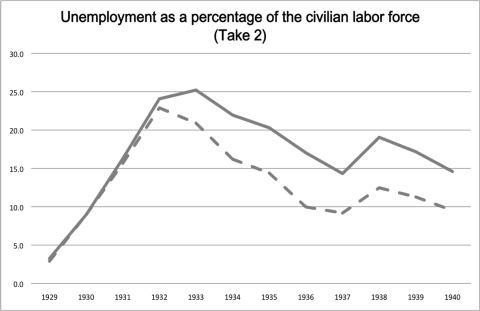 Solid line counts workers employed on public works as unemployed; dotted line does not. Source: The Edge of the American West. He states that the unemployed stood at 10 million in 1940, when Roosevelt broke a tradition as old as the republic and went after his third term. In fact, unemployment was somewhat under 10 million, but was declining in the run-up to election day by 100,000 a month, largely due to the immense rearmament program Roosevelt had initiated and to the country’s first peace-time conscription, which he called a “muster”. But Dallek completely ignores, for purposes of calculating unemployment, the many millions of participants in his workfare programs, who were just as much employed as, and more usefully than, the millions of conscripts and defense workers in the major European countries and Japan, against which Roosevelt’s record in reducing unemployment is often unfavorably compared. 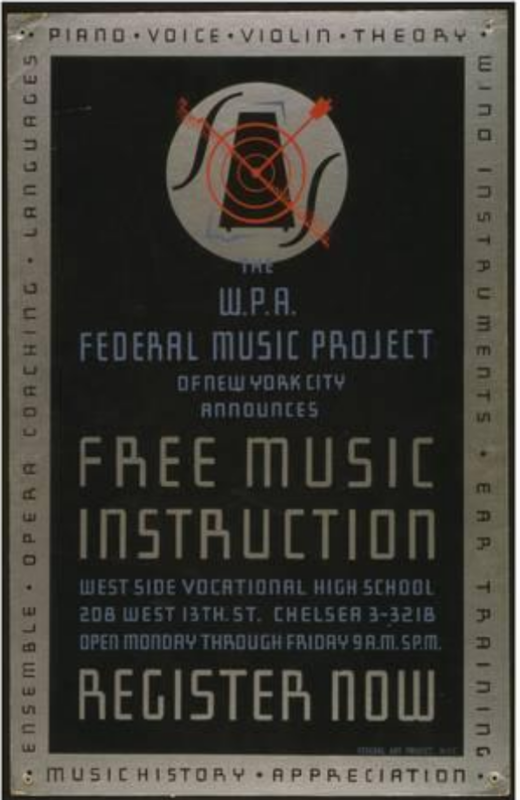 [snip] These programs kept between five million and nearly eight million people usefully employed at any time building valuable public sector projects at bargain wages for Roosevelt’s first two terms, until defense requirements and the public sector took over and completed the extermination of unemployment. Those unable to work received Social Security, unemployment and disability benefits from 1935 on. Donald Trump is a con man, a racist and a bully. The record is clear. But the world is full of confidence men, racists and bullies. What sets him apart? Thomas Frank, author of What’s the Matter With Kansas? and other great political books, took the trouble to listen for himself to several hours of Trump speeches (which I confess I have never done). I saw the man ramble and boast and threaten and even seem to gloat when protesters were ejected from the arenas in which he spoke. I was disgusted by these things, as I have been disgusted by Trump for 20 years. But I also noticed something surprising. In each of the speeches I watched, Trump spent a good part of his time talking about an entirely legitimate issue, one that could even be called left-wing. It seems to obsess him: the destructive free-trade deals our leaders have made, the many companies that have moved their production facilities to other lands, the phone calls he will make to those companies’ CEOs in order to threaten them with steep tariffs unless they move back to the US. Many liberals think that Trump supporters are simply out of touch with reality. But they themselves are out of touch with how trade and immigration are changing American life. Americans used to say that service jobs were safe from the impact of globalization because there was no way for companies to ship them overseas. But employers can achieve the same goal by employing unauthorized immigrants, who, like the workers in Asian sweatshops, are outside the protection of American labor law. A recent example of this was contracting the delivery of the Boston Globe to a company that employed unauthorized immigrants. The public was upset by the huge number of delivery problems. It should also have been upset by the loss of jobs of American workers who formerly provided reliable service. The problem is not the unauthorized immigrants, who are hardworking people who are trying to get by the best they can. The problem is those American employers who are trying to drive down American wages by any means necessary. All the News That’s Fit to Print: How the Media Hide Undocumented Workers by Aviva Chomsky. 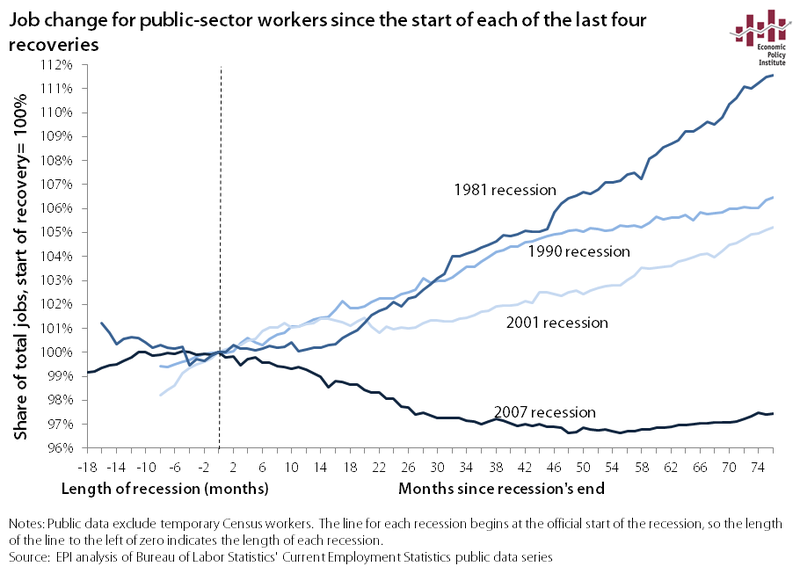 One of the reasons for the weakness of the current economic recovery is the loss of public sector jobs—mainly in state and local governments, including school districts. 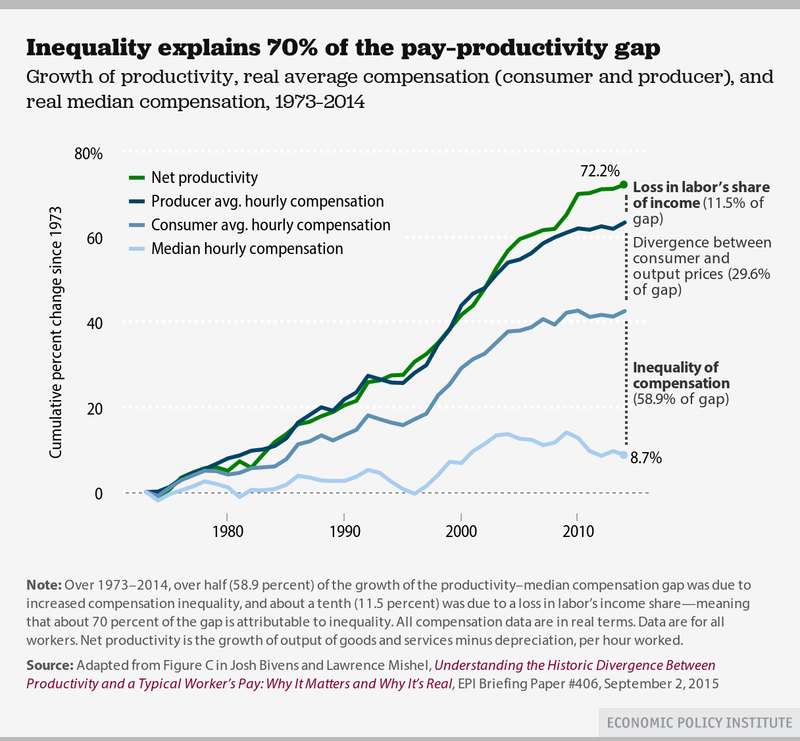 Blogger Duncan Black thinks these figures indicate that Americans should stop cutting public school teachers’ wages and benefits, reducing their job security and making them scapegoats for all the ills of society. 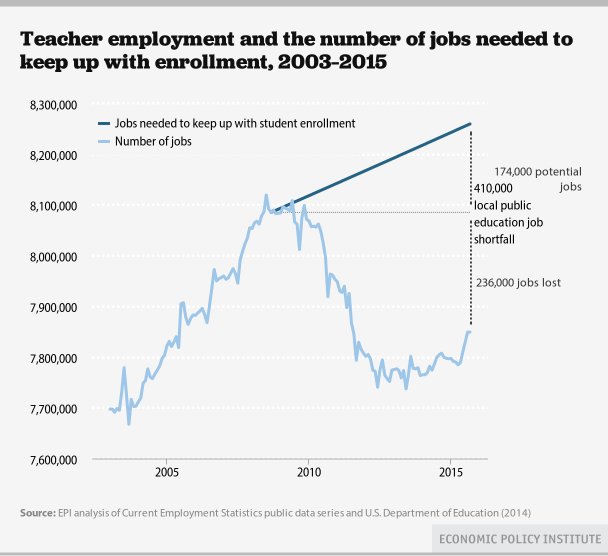 But according to the neo-liberal philosophy that prevails in U.S. industry, the decline in the number of teachers is a good thing, not a bad thing. 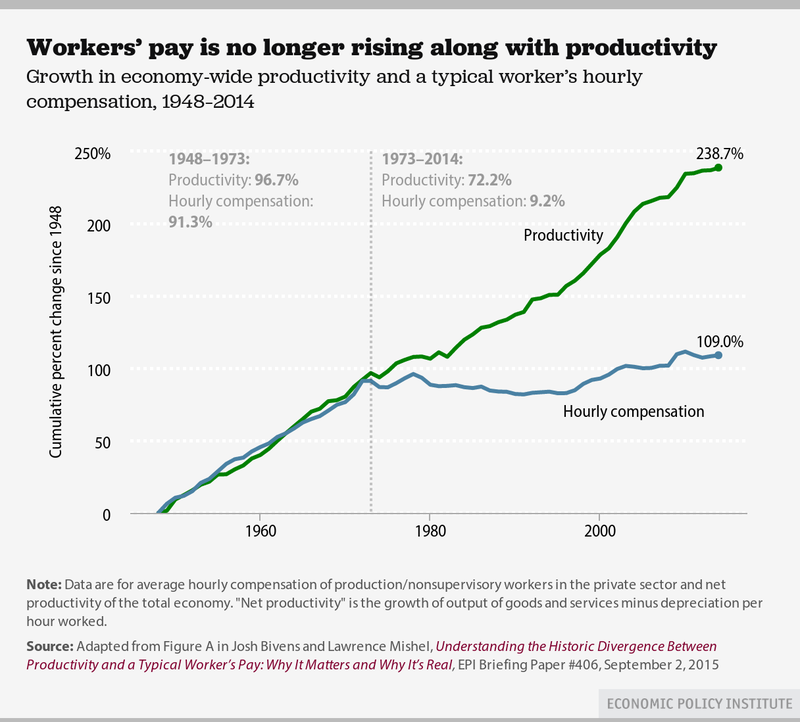 A neo-liberal would tell you that fewer teachers with lower salaries teaching larger classes is by definition an increase in productivity (but that the best way to achieve this is through privatization). Have teenagers lost interest in summer jobs? Somewhat fewer teenagers from affluent families are interested in working summer jobs than in the past. And more teenagers than in the past are attending school during the summer. 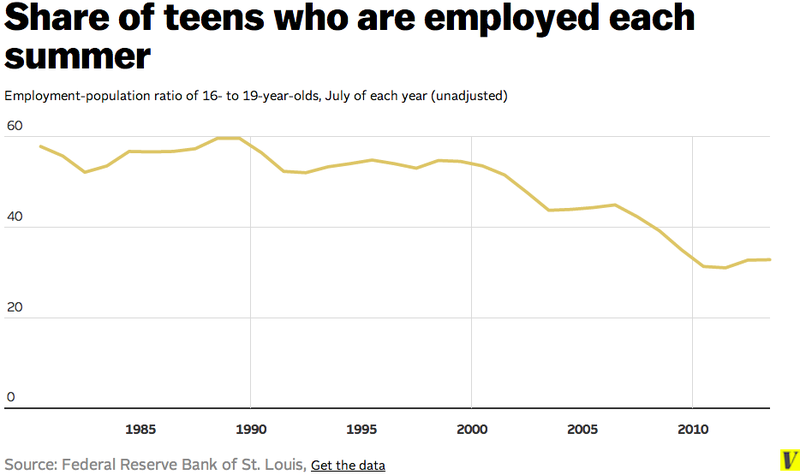 But another reason fewer teenagers are working summer jobs is that they can’t compete with the growing numbers of adults who want those same jobs. 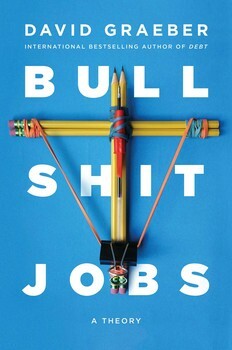 Why American Teens Aren’t Working Summer Jobs Anymore by Peter Gosselin for Bloomberg News. 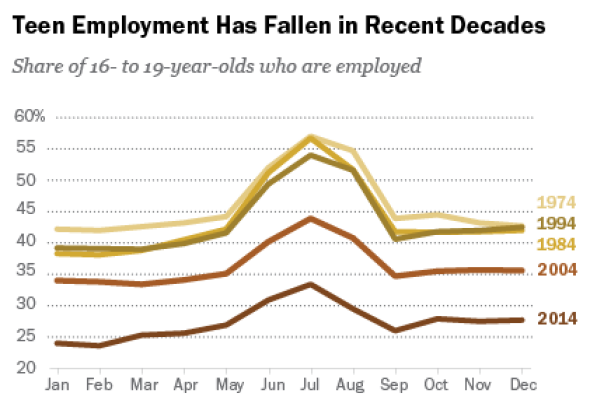 The fading of the teen summer job by Drew DeSilver for Pew Research. 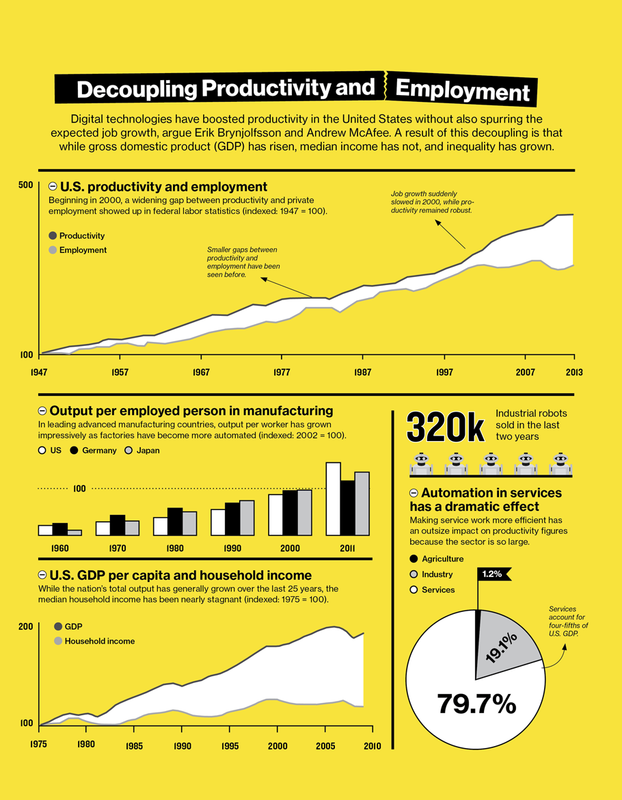 David Rotman, writing in MIT Technology Review, made the case that advances in technology and growth in productivity have not paid off for working Americans. He considered whether there is something in the nature of technology that rewards highly-trained employees and eliminates the jobs of unskilled employees. I think the problem is the priorities of the people in charge, not the nature of technology. It is not technological progress that leads to public libraries having shorter hours, or public utilities have deferred maintenance, or customer service centers keeping people on “hold” for endless minutes. Rather it is the priorities of the people in charge. 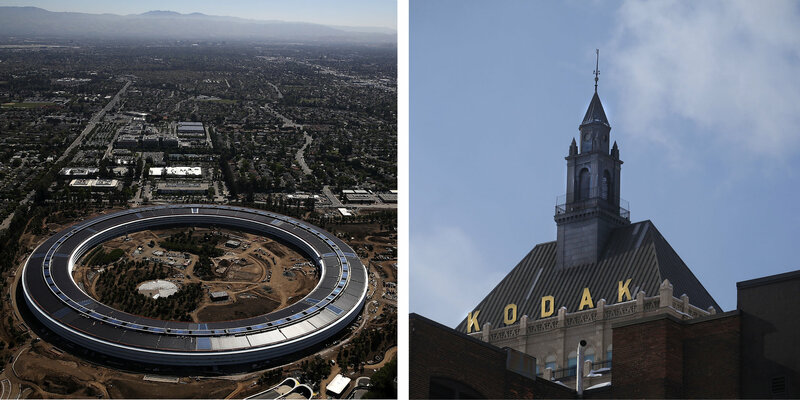 To the extent technology is the cause, I think the reason is that the impetus has been to develop technologies that eliminate jobs rather than technologies that provide better services and improve the quality of life for the majority of Americans. 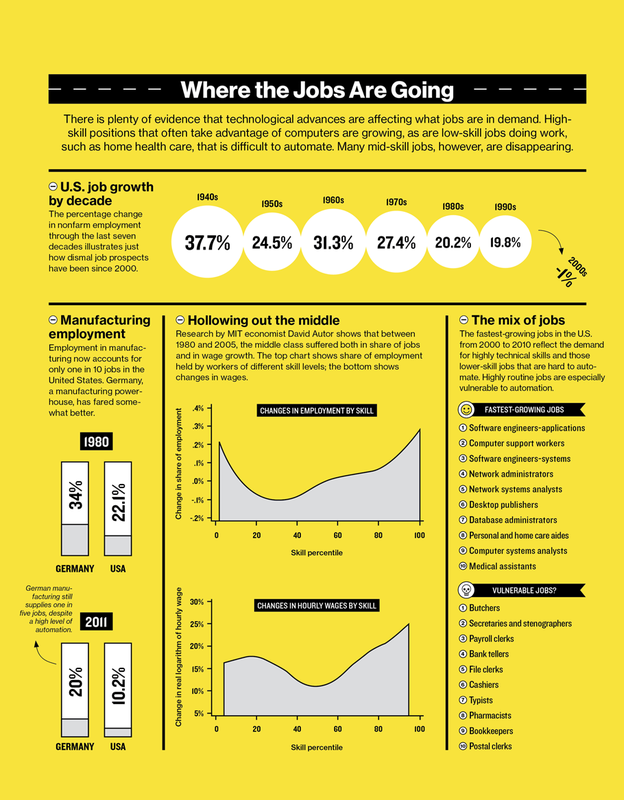 How Technology Is Destroying Jobs by David Rotman for MIT Technology Review.